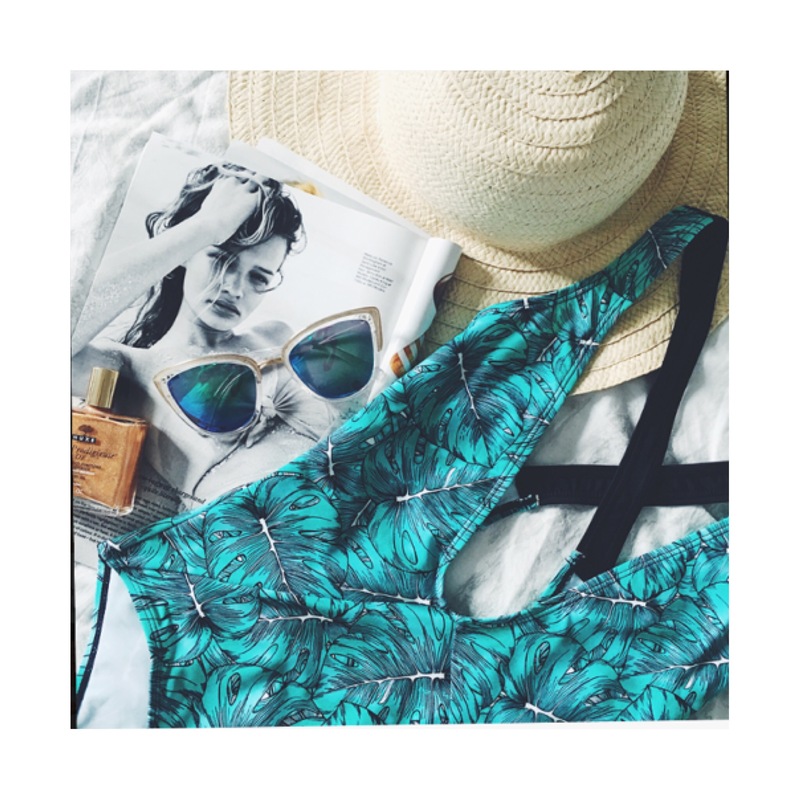 As I’m going away today, I thought I’d post a little beach wear inspired post! Us girls always want to look and feel our best when we’re on the beach, so I’ve put together an outfit to ensure just that! Minimising tan lines is always essential for me. There is nothing worse than putting on your evening outfit and having strap marks from your triangle bikini from the day! The solution? A bandeau top! High waisted and high leg bikini bottoms are the in-thing this summer and more importantly, they are ever so flattering! If you’re shorter, they’re perfect to lengthen the look of your legs and not to forget that the high waist hides most of our wobbly bits (belly and love handles)! So if this isn’t every girls dream solution to feeling good on the beach, I don’t know what is. This one is from Missguided (via ASOS) and costs £20 so is really affordable! The choker is a nice added touch but is removable if you don’t want that tan line either! The usual kimonos and beach coords are great, don’t get me wrong, but I’m currently loving the oversized shirt look. It’s so chic and is super practical, too. This one from Accessorize is £29.99 and is so cute. The embroidery and colouring is so perfect for a day at the beach! I love a flatform. They give that little bit of extra height (which we all know makes our legs look greaaaaat) but are SO easy to walk in too! It’s a win-win situation, right? Metallics are really in right now and so this BOOHOO pair of flatform espadrille sandals fit the bill perfectly. Being rose-gold, you can literally wear these with any colour and any thing! They’re such a steal at only £20, too! Straw bags are a MUST for your summer vacay this year! They looks so cute and summery and look great whether you’re heading to the beach, walking around a holiday town or even heading down to a beach club. 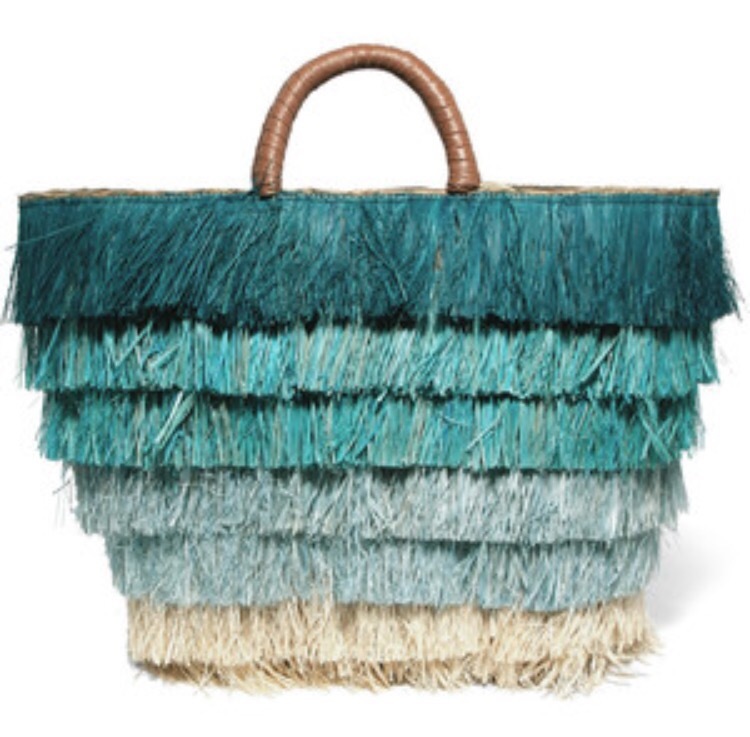 I am in love with this straw bag from Kayu at Net-a-Porter. It is a bit spenny at £115 but I think it’s such a statement piece and will last you through many summers! The colour is gorgeous and versatile, as well as being different from other straw bags out there at the moment, as it is completely fringed! What do you think of this look? And what do you think is important when dressing for the beach/poolside/beach club? Comment innthe box right at the bottom, as I’d love to know! Next 5 Reasons You Need to Visit Europe’s Newest Beach Club!